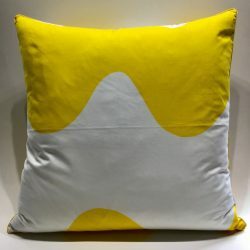 Our cushions are not bought for the shop ready made, but are custom made by us. 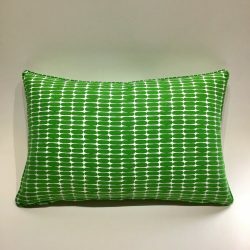 We cut the cushion covers in our workroom then send them out to be made locally in Sydney. 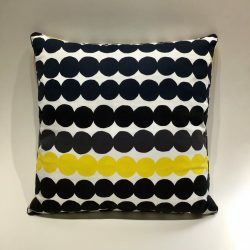 Both sides of the cushion have pattern. 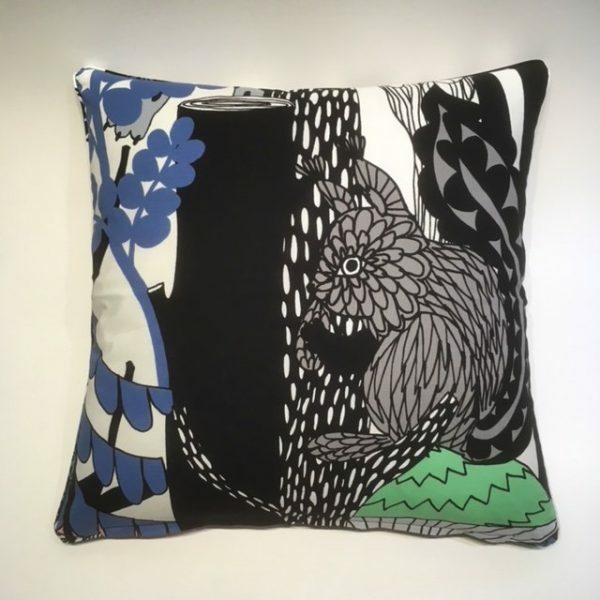 All of our cushion covers are framed with a fine pipe detail in the same fabric as the cushion itself. 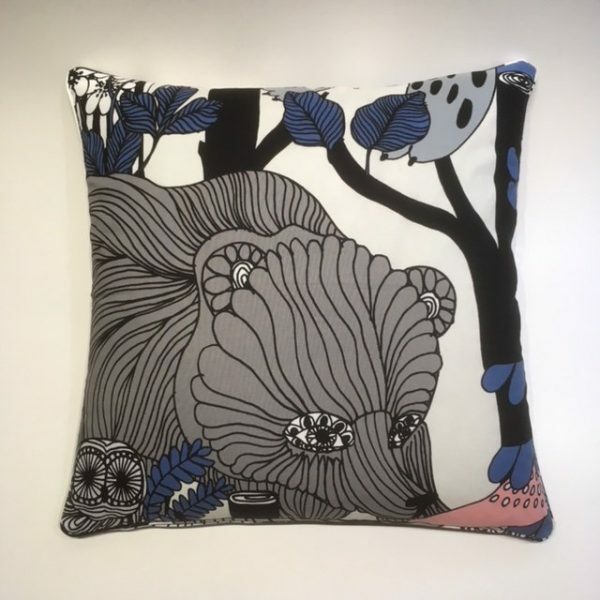 Ordered cushions may look slightly different to the images supplied, the Marimekko fabric repeats are often quite large. We always aim to show the fabric at its best, and will move the positioning of the cushion on the fabric to achieve this result, even if we have to waste a little fabric in the process. All cushions have an easy to use zipper at the base. We can also custom make different sized inserts in the feather & feather down mixes, and also for allergy sufferers we make to order woolen or acrylic inserts. Cushion inserts may be washed if necessary. And also tumble dried.